“Pearls go on and on . . . on everything,” Vogue declared in 1943. Mrs. Plant lusted after the most expensive pearl necklace in the world, and to get them, she traded her mansion! In 1916 the residence on the corner of 54th and 5th avenue in NYC was home to the wealthy Plant family. Due to the prime location of the home the Cartier company was very interested in buying the residence. The asking price of both the mansion and the necklace were around one million dollars (equivalent to $18,693,500 in 2017), so a deal was struck and to this day Cartier still resides in the Plant mansion. Who do you think got the better deal? The natural pearl is formed when a mollusk reacts to an irritant, and in defense the mollusk creates a pearl sac around the object. Pearls can now be cultured, so finding a strand of perfectly matched natural pearls is very rare, making them an expensive and sought after item. This amazing natural event creates an object of wonderment and value that has existed since ancient times. It was Coco Chanel, in the 1930’s, who showed us how to wear pearls in modern times. "I gave women a sense of freedom," she once said. Pearls are definitely one of a girls best friend; they are easy to wear and hold a special place in every jewelry lovers heart. Lady Sarah Churchill said, “I feel undressed if I don't have my pearls on. My pearls are my security blanket.” With their luminous luster and varying color and sizes, you can be a royal like Queen Elizabeth or a rock star like Rhianna and find the perfect way to showcase your pearls. Posted on January 19, 2017 by Nicholas Gentile. The word Garnet originates from the Latin word “Garanatus,” meaning “pomegranate seed”. It has been known for serving guidance while traveling at night and attracting health and cheerfulness. Other characteristics associated with the Garnet include purity, truth, faithfulness, and friendship. Some believe the healing properties of this stone revitalizes, purifies and balances energy. Available in red, green, orange, yellow, brown, pink & black, it is one of the more color diversified stones. This stone has a long history; a stylish garnet bead necklace was found in a grave in Egypt that is more than 5,000 years old. Red garnet necklaces decorated the necks of Egypt’s pharaohs and were entombed with their mummified corpses as prized possessions for the afterlife. Start shopping for your afterlife now! Posted on January 6, 2017 by Nicholas Gentile. Tourmaline is the October birthstone, and considered the stone for the 8th wedding anniversary. Tourmaline was discovered in Brazil during the 1500’s but at that point people confused it with other gems such as emeralds and rubies. The confusion was understandable due to the wide array of colors and the brilliance of the stones. Finally in the 1800’s they became known as tourmaline, from the toramalli, which means mixed gems in Sinhalese (a language of Sri Lanka). The largest market for Tourmaline was in China during the last half of the 19th century. Chinese Dowager Empress Tz'u Hsi particularly liked the pink and red tourmaline and had the vast majority shipped to China from California mines. She had statues, bottles, sculptures, and jewelry made; most of which is lost now. This piece in particular has pink tourmaline on top and pink sapphire on the bottom. It is easy to understand how the tourmaline would be mistaken for another gem. The necklace was made in England and also features two small sea pearls on gold ribbons. Posted on December 13, 2016 by Nicholas Gentile. - Eyes: These are called “Lover’s Eyes” and are typically portraits of a loved one’s eye to preserve anonymity and decorum. -Star & Moon: The moon symbolizes spirituality and the glorification of the moon goddess while the stars symbolize direction and guidance. - Seed pearls: Innocence, purity humility and harmony. - Swallows: A common gift from a sweetheart as swallows mate for life; also represents the desire for a loved one to return safely or soon. Posted on November 15, 2016 by Nicholas Gentile. Since 1912, Citrine has been the official birthstone of November. Rare in nature, this alluring stone ranges from pale yellow to bownish-orange in color. Usually formed by the heat treatment of Amethyst, Citrine is actually a variety of quartz. The word Citrine in French translates to lemon; an appropriate translation for a stone with such a vibrant natural yellow hue. With a modest price tag, it’s no wonder Citirne is the most popular yellow gemstone. Large pieces of Citrine were used in Art Deco pieces because not only is the stone affordable so larger stones could be used but it can also be carved like Jade and it is uncommon to see inclusions visible to the naked eye. In terms of durability, Citrine is harder than opal but softer than rubies and sapphires - they do not break easily but they do not have the scratch resistance seen in rubies and sapphires. In Egyptian times, Citrine was used as a talisman that cleaned and removed unwanted energy. It is said that the stone brings hope and paves the way for spiritual growth. Known as the “merchants” stone or the “success” stone, it is also said that the stone can enhance one’s natural personal power and energy. No matter what you believe, Citirine makes a wonderful gift for those born in November, those celebrating their 13th wedding anniversary, or for those who love a golden fall color. Check out both the Estate and modern collection of Ciritne Jewelry here at Tick Tock Jewelers. Posted on November 1, 2016 by Nicholas Gentile. Cameos are a type of jewelry where a gem or shell is carved out leaving a raised relief image in a contrasting color. Common depictions on cameos are Greek Gods & Goddesses, beautiful women, Biblical events, heroes, and rulers. The type of cameo we see today is much different from the very first cameos ever made. 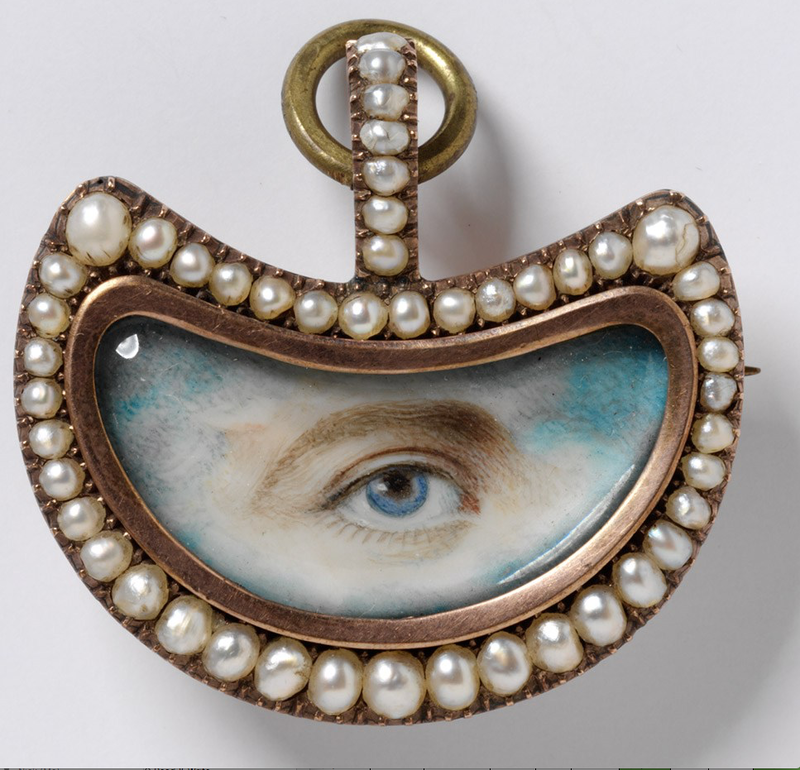 In fact while cameos are now often worn by women, they used to be a status symbol and worn mostly by men. Women did not begin commonly wearing cameos until they were popularized by Queen Victoria of England. Early cameos can be traced back to 300 A.D. where they are made out of carved stones such as Onyx or Agate and these are known as “Hardstone” cameos. Around 25BC - 50AD Roman glass cameos made an appearance, which are rare, and have a blue glass base with a white overlay. 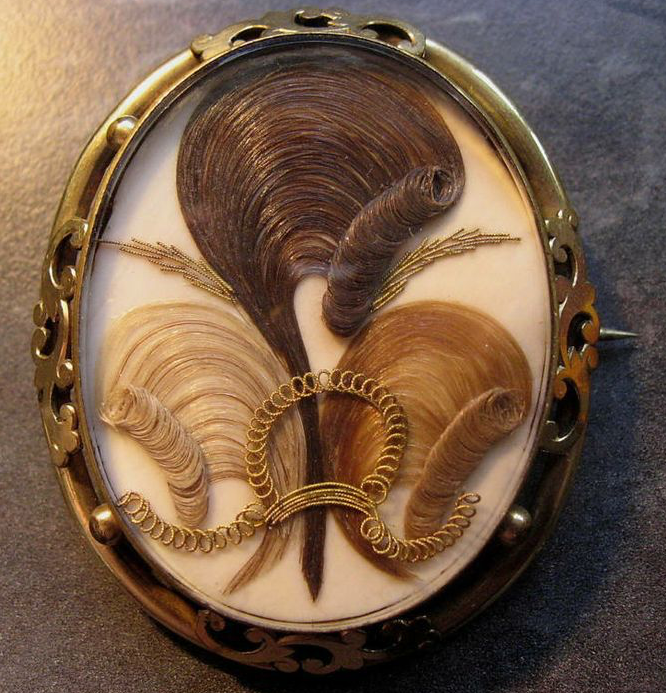 The most commonly seen are shell cameos, started in the 15th & 16th century. These are typically carved from mussels or cowry shells, however recently conch shells have been used also. Come see our large collection of cameos in our Estate Selection here at Tick Tock Jewelers. Posted on October 14, 2016 by Nicholas Gentile. Named after the English King Edward VII, the Edwardian period of jewelry was inspired when there was a decrease in the demand for machine made jewelry during the last decade of the 19th century. The trend went from large statement pieces to something more delicate and ethereal looking. Pulling inspiration fluidity and line work from the Art Nouveau and Arts & Crafts period while incorporating them into modern design, Edwardian jewelry was born. Typically seen as platinum pieces with a gold backing, along with milgrain beading and light weight design, Edwardian pieces were made to mimic the delicacy of fabric. Typical Edwardian pieces featured bows, garland, wreaths, tassels, swag, and dog collars. Earrings changed from simple studs to long, pierced filagree dangles suspended from wires due to the light-weight properties of the platinum. The trend of smaller, stackable rings and the elongated rings with open pierced filagree work became popular during this time as well. Here at Tick Tock Jewelers, we have a large array of Edwardian pieces for you to admire in our Estate Jewelry Collection. Come on by to check them out! Posted on October 10, 2016 by Nicholas Gentile. October is the time for change; the time changes, the temperature changes, and the foliage changes. Like the spectrum of colors seen in the leaves, opals (October’s birthstone) too, reflect a multitude of colors. The opal is known as the national gemstone of Australia because about 90% of opals come from Australia and were accidentally discovered there in 1849. Opals, “the water stone,” are said to help ease the handling of life changes. They do contain water and like a river will flow over rocks while staying on course, opals will keep you on your correct path in life regardless of oncoming obstacles. - Common: These have no play of color and are usually a milky-white color. - White: What most typically think of when they hear opal; play of color visible within a white stone. - Black: Like a white opal, but darker color stone ranging from grey to black. - Fire: Colorful and transparent stone (usually within the warm color spectrum) with little to no play of color. - Boulder: Opals cut with the host rock; look very earthy. - Jelly/Crystal: Transparent stone with play of color. - Precious: A rainbow assortment of play of color with no “dead zones” (areas with no play of color.) These are very rare. The Play of Color creates a “fire” inside the opal, which are intense flashes of bright colors. It is the most important aspect in the determining the quality of the stone, along with color, transparency, and clarity. Due to the softness of this stone, opals should be protected from rough impact. Also due to the water content in the stone (opals can contain up to 20% water), not only can the stone freeze but it can also craze like porcelain, creating little cracks in the stone due to moisture loss. The best way to prevent an opal from crazing is to keep it away from heat, keeping it away from direct sunlight, and wearing it, as your body’s moisture will re-hydrate the stone. The play of color is what made Romans believe that opals were the most powerful and precious of all stones because they contained all the colors of every stone. To them, the opal symbolized love and hope. In Europe, the opal represents hope, purity, and truth. Many believe that opals are bad luck, which is actually not the case. In 1829 the novel Anne of Geierstein gave the opal a bad reputation after the main characters breaks her opal and soon after she falls ill and dies. In fact, black opals are actually good luck charms for the Zodiac sign Scorpio and boulder opals are good luck charms for Aries. Said to increase creativity and imagination while also enhancing positive characteristics, opals are not only perfect for those born in October but also for those who love colorful gems. Although soft and delicate, when worn with care opals are a fantastic investment for everyone. Come see our fantastic opal collection at Tick Tock Jewelers. Posted on September 29, 2016 by Nicholas Gentile. Would you believe us if we told you that Peridot (August’s birthstone) can come from space? Green like the little men some believe are out there, this stone can hitch rides on meteorites and make their way to Earth! But, they are most commonly found deep in the Earth’s mantle and brought to the surface through volcanoes. Extraterrestrial Peridot can be as old as 4.5 BILLION years. You will only find these in the Smithsonian Museum, where you can see the largest known Peridot in the world at 46.16 carats! While the concept of Aliens and Space Gems may seem far out, it’s very rare. The majority of Peridot gems are found in volcanic rocks. When the word “volcano” comes up, which state pops into mind? Hawaii, right? In Hawaii, Peridot symbolizes the tears of Pele, the goddess of volcanoes and fire. There’s actually an entire beach in Oahu that has sand entirely made of Peridot that was finely crushed by the oceans waves. Pele’s tears are said to bring personal growth, wealth, and healing powers. Other cultures, like the Egyptians, believed Peridot can protect it’s wearer from terrors in the night. 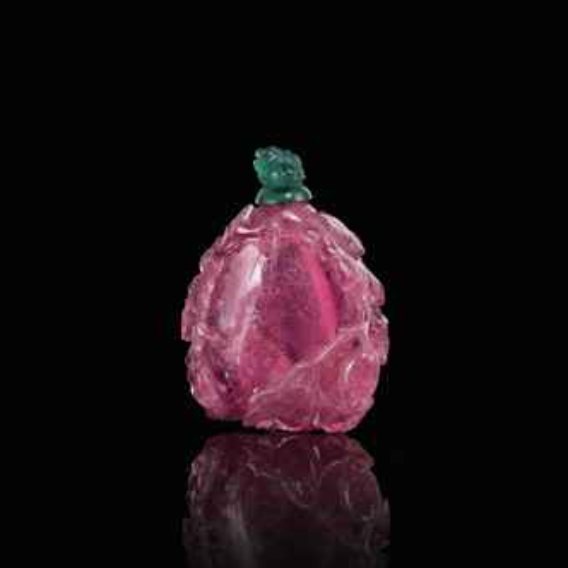 Referred to as “gem of the sun,” they mined this stone on an island called Topazios (now known as St . John Island.) Treeless with a scorching sun, the land had little to offer except for the glittering green gemstones that caught the attention of Egyptian royalty. In fact, have you heard about Cleopatra’s green gem collection? While many had thought that her collection was made of emeralds, it is actually made of Peridot! Whether be an August birthday present, 15th anniversary gift, or just a gift from the heart, Peridot is always a great option. With such a unique origin, who wouldn’t want to brag about their new prized possession? Stop by Tick Tock Jewelers in downtown Burlington, VT and see all of our Peridot collection today! Posted on August 3, 2016 by Nicholas Gentile. July: a month of summer love, passion, and of course, heat. It’s no wonder the Ruby, a stone that represents burning passion, love, wealth, and loyalty is this month’s birth stone. Stemmed from the Latin word “ruber” meaning red, this stone’s quality is actually measured by its color and clarity. The finest rubies are as red as pigeon’s blood (no pigeons were harmed while writing this article) with an intense fire and very subtle undertones of blue or purple. In pop culture, the most famous rubies of all are Dorothy’s ruby slippers in the Wizard of Oz. They were given to her by Glinda the Good Witch for courage, wisdom, and protection. She later discovers that when she clicked her heels together chanting, “there’s no place like home,” those rubies gave her what she truly desired in her heart- to find her way back home to Kansas. (It’s too bad she couldn’t take those shoes with her)! Did you know that rubies and sapphires are actually the same stone? They both belong to the Corundum family and since 600 AD, Burma has been the primary source of our most precious corundum. They are second in hardness to diamond and come in other colors besides the tried and true red and blue - colors like white, pink, yellow, and orange. Due to it’s hardness and durability, Corundum makes a fantastic choice for an engagement ring because they are built for a lifetime of wear. In fact, do you use an emery board? Black synthetic corundum is crushed and used to make the sanding side of an emery board. - Ancient warriors from Burma wore rubies because they believed it gave them the power of invincibility. - Hindus believed the red color came from an internal flame that could not be put out, just like ever lasting love. - In the Middle Ages, rubies were used to predict danger. Any time a ruby would sense danger, it would supposedly turn the stone a darker color. Whether you believe the folk tails or not, one thing is for sure: rubies are a perfect gift for the ones you love, especially if they’re lucky enough to have a July birthday! With a stone that represents everlasting love and loyalty, what else could make a better statement? Check out our newest collection of ruby pieces here at Tick Tock Jewelers! Posted on July 29, 2016 by Nicholas Gentile. Now that you know a few reasons why it is worthwhile to have your jewelry appraised, it is important to keep in mind that there are many other practical reasons why you should find a knowledgeable and trustworthy appraiser (besides protecting yourself in the unfortunate case of jewelry theft). Your jewelry is more than just a beautiful accessory. Like a Monet, it is a piece of art; like a Corvette it is an example of inspired design and value. Most people would never think twice about getting their car or fine art pieces insured, so why think twice about appraising your jewelry, especially when it may be of an equal or superior value? Even if you have considered selling certain pieces in your collection, having your pieces appraised will actually make this process much easier and more straightforward. Having an up-to-date appraisal can be the surefire way to eliminate buyer-seller tension. It provides valuable information to prospective buyers and allows sellers to know the value of what they have. However, we would advise against selling all of one’s fine jewelry (despite how compelling this may be in certain circumstances). If everyone sold the majority of their pieces, there would be no children and grandchildren who’d receive beautiful, heirloom jewelry to treasure and remember their loved ones. During these already difficult times, the dividing and passing of a loved one's estate can add undue stress and tension. A lot of people find themselves blindsided by the animosity that results from what is perceived by certain family members as an unfair or unequal division of the estate. Unless you belong to a family of jewelers and qualified appraisers, determining worth can be especially tricky when it comes to jewelry. When costume pieces can be easily mistaken for valuables and precious pieces can be mistaken for faux pieces, bringing the entire collection to an appraiser beforehand for evaluation is ideal. The appraiser will separate all costume pieces and then appraise the remaining valuable pieces. With an accurate and up-to date pricing and analysis of the fine jewelry in a loved one's estate, value can be distributed fairly and honestly between heirs. It is worth noting that having one of your pieces appraised at an inflated value will end up costing you more in the long run. While it may seem like you could reap the benefits if your jewelry ever needed to be replaced, this is inaccurate logic. Not only will it cost you a larger monthly premium, all of the extra money you are paying to insure the item will not come back to you in the event that said item needs to be replaced. In the case of replacing a lost or stolen item, your insurance company will only be able to indemnify you for the current replacement value of your piece (even if that price is under what your appraiser determined). Therefore, it is important to be working with a reliable appraiser from the very beginning who will provide you with the accurate, uninflated value of your piece. At Tick Tock Jewelers in Burlington, Vermont we have seen it all when it comes to big jewelry collections and appraisals. Our appraisals start at $75 (for one piece) and we offer very reasonable rates for larger collections. Though we know anyone in the midst of a tense estate squabble will tell you that preventing it in the first place would have been invaluable. Contact us today to set up a time. Posted on May 11, 2016 by Nicholas Gentile. These words uttered by far too many customers searching for their stolen jewelry have become an all-too-familiar and unsettling chorus to us at Tick Tock Jewelers. The sheer amount of people who have reached out to us as victims of theft is almost as staggering and unfortunate as the fact that their entire family heirloom and beautiful jewelry collection is now gone without a trace. Just like characters in a soap opera hold steadfastly to the hope that their loved one will come out of a decade-long coma, many victims of jewelry theft like to believe that they will be able to find and reclaim their stolen pieces of jewelry someday; or that their pieces have somehow been sold by the thief and taken in by a nearby jewelry store. The sad truth is that this is incredibly unlikely (and in our experience as jewelers and soap-opera watchers, less-likely than a soap-opera coma revival). It is unfortunate that tragedies like these occur in the first place and that there isn't much to be done after-the-fact. As with any sudden, heartbreaking misfortune or affliction, hindsight is 20/20 and the greatest power usually lies in prevention. A great way to prevent damage from a car accident is to never text and drive, to have insurance and always wear a seat belt. A great way to prevent certain harmful health conditions is to maintain a good diet and exercise program. Likewise, the best way to alleviate the financial blow of a robbery is to have had your most valuable pieces appraised by a trustworthy jeweler and added to your insurance. There are many other benefits to having your family jewels appraised. In our next blog we will guide you through the appraisal process and disclose even more of these benefits. Posted on April 14, 2016 by Nicholas Gentile. There are are countless ways to spend and invest your hard earned money. When the necessities are taken care of, what do you do with the rest? We all have our preferred luxuries, investments and vices. Some of us may be saving for/splurging on boats, vacations or fancy restaurants. Some of us may instead find it more prudent to save for retirement or invest in the stock market. However, in this moment, we dare you to consider investing in jewelry. While it may seem solely a beautiful indulgence, there are so many reasons why investing in jewelry is the smart and savvy choice this year. Receiving jewelry heirlooms from loved ones is an amazing feeling. In this way, beautiful pieces can be kept in the family and preserved for future generations to wear, love and appreciate. The inheritors not only get to experience the joy of being given beautiful, bejeweled gifts, but the significance of receiving something of great sentimental value from those who helped make their lives what they are today. The preservation of estates through the passing of jewelry is like a time capsule in motion. The aesthetic, style and personality of inherited pieces will always reflect the bygone eras from which they originated, as well as the personality and style of the family member they belonged to. If these pieces were instead sold or forgotten, there would be no tangible, wearable memento to provide a glimpse into the world of our loved ones. The only way for future generations to be able to enjoy this unique experience is if we continue investing in the jewelry we love. There are many ways to express yourself. Self-expression through jewelry might be one of the most sophisticated and timeless means of showing the world who you are and what you have to say. We all have encountered people who make a tremendous first impression—those particular strangers who may only cross our path briefly yet remain, for some reason, etched upon our minds. Usually these memorable people have a captivating persona and definitive sense of self. They use jewelry, watches and accessories to enhance their ensembles as memorable staples of their personal taste. A unique piece of jewelry is an artistic statement. By seeking out and wearing the pieces that resonate with you and make you happy, you are making a meaningful personal statement that others take notice of; allowing them to appreciate the uniqueness of your taste and share in your perspective-- if only for an unspoken moment in passing. whether through the significance of a birthstone or the lore of a particular stone and its benefit or capacity to heal. People may also develop a fondness or connection to stones that are not their birthstones but reflect their color preferences and personal style. Taking the time and possessing the insight to give the right piece of jewelry to someone you care about is one of the most thoughtful and well-received gestures. We hope this has inspired you to consider jewelry as not only a smart investment but a timeless, fun and fashionable one. We will be here at Tick Tock Jewelers to help you select your next one-of-a-kind piece. Posted on March 17, 2016 by Nicholas Gentile. Why Invest in a Watch? We hate to poke holes in the increasingly popular argument that cell phones have rendered watches obsolete, but... we are going to take few moments to poke holes in this argument. Because, well, it's just too easy and we don't want to allow this misconception to persist any longer. Claiming that cell phones have made watches unnecessary just because they too can tell time is almost as ludicrous as suggesting that the digital clock, laptop computer, and microwave could also serve as suitable watch replacements. They all tell the time! While it's true that the cell phone is typically carried"on your person" unlike these other devices, it is still a far cry from a watch. Additionally, contrary to the popular opinion of some, there are situations when whipping out a cell phone to check the time or for any other matter is incredibly inappropriate. The singular functionality of a watch (in an age where multifunctional items are expected to do anything and everything) is what we find most refreshing about these timepieces. The watch is not a poser and simply does what it was made do incredibly well (and incredibly stylishly). Most importantly, perhaps sliding on an exquisite timepiece and fastening it to the wrist is the closest men can come to experiencing that "new pendant/ring/earring" high women feel with their jewelry. At Tick Tock Jewelers we believe that no one should ever be deprived of a euphoric jewelry experience, so naturally we have a vast array of stunning timepieces for men and women. Just like any other piece of jewelry, a watch makes a statement. If you want yours to say that you have impeccable taste and style, then we'll be here to lead you to your perfect watch. Posted on January 20, 2016 by Nicholas Gentile. Art deco jewelry has come back in vogue lately as evidenced in the movies The Great Gatsby and Midnight in Paris and in the television show Boardwalk Empire. Like jazz, it is a style that never truly goes out of fashion. The Art Deco movement originated in the Roaring ‘20s and encompassed a wide variety of styles. There is plenty to choose from: a geometrically-inspired bracelet of diamonds in shining platinum, a stunning colored gemstone cocktail ring surrounded by pearls, an eternally graceful and unique solitaire diamond engagement ring, or a colorful “fruit salad” bracelet featuring a rainbow’s worth of different colored clear or opaque stones. Art deco designers took inspiration from the past, specifically Egyptian, Mesoamerican, and Greco-Roman art and culture. The movement also took inspiration from science fiction movies like Metropolis. It is this large pool of inspiration that will keep art deco always fascinating and always fashionable. When you look over your jewelry box and see all the “trendy” cheaply-made, mass-produced pieces that so quickly went out of style (hemp bracelets anyone? ), you might start to long for a few one-of-a-kind pieces made with the craftsmanship of a bygone era. Our estate jewelry collection has a number of beautiful, vintage art deco pieces that will work well with everything in your closet. You will find yourself reaching for these pieces for decades to come. Tick Tock Jewelers has gorgeous pins, rings, bracelets, earrings, and necklaces available. Come on in to take a look. The next time you find yourself reaching for that little black dressyou’ll be able to jazz it up by adding something crafted with the quality and attention to detail that’s harder and harder to find today. Whether you go for something in monochrome, black and white, or vividly colored, you simply can’t go wrong with art deco. Posted on October 26, 2015 by Nicholas Gentile.